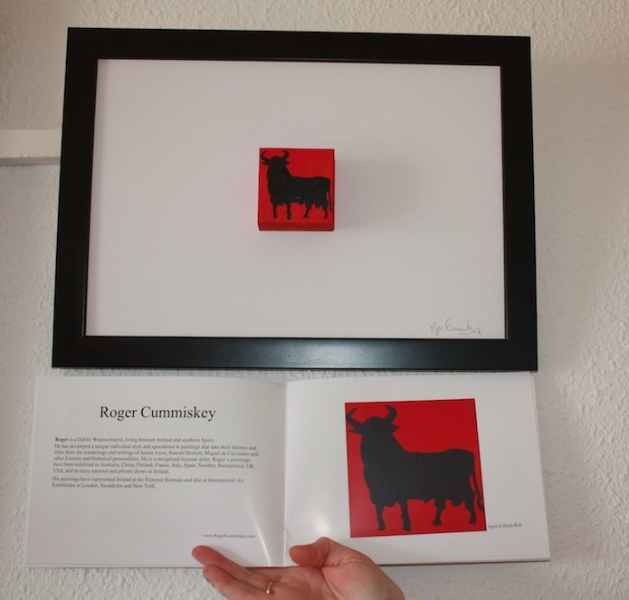 The Essence of Calahonda | Roger Cummiskey - ArtRoger. 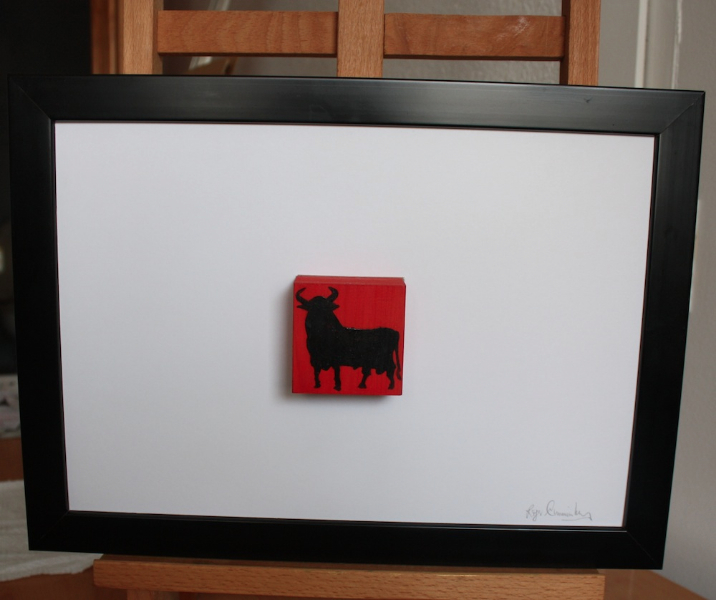 Spanish Black Bull.The black bull has become a symbol of Spain. 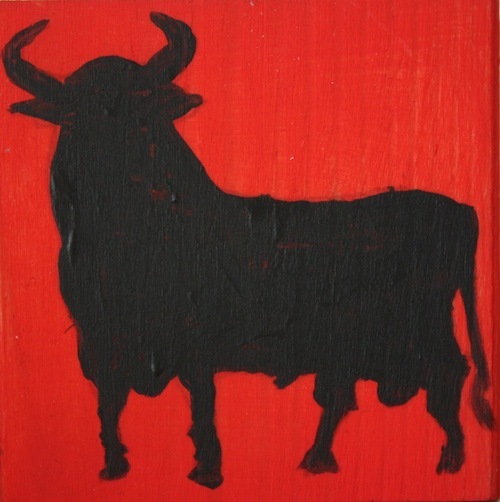 Originally an advertising object for Osborne sherry the bull appears on 91 hillsides throughout Spain. They have become a part of the landscape and have “aesthetic or cultural significance” thus turning the bulls into public domain images. AIA-ArtGroup.com members also exhibiting are Auli Suvanto-Salokannel and Richard Wood. Other images from the exhibition. Sitio de Calahonda celebrates its 50 year anniversary June 28-30, 2013. Calahonda belongs to the Mijas municipality and has a population of about 15.000 people, more than some of the traditional urban areas of Mijas. Calahonda is situated between Fuengirola and Marbella and has access to the A7 motorway. 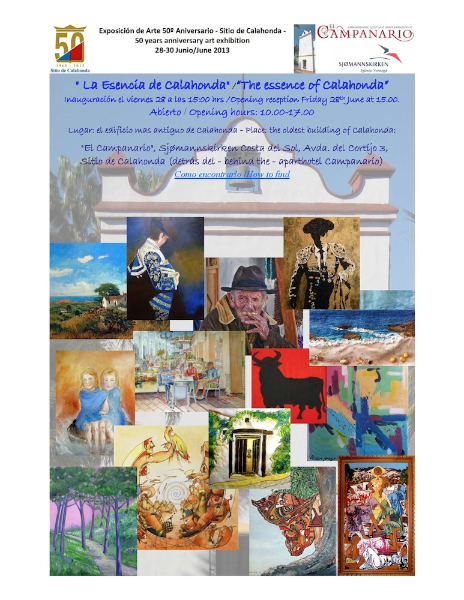 The festivities start with the opening of an Art Exhibition with the theme “The essence of Calahonda”. 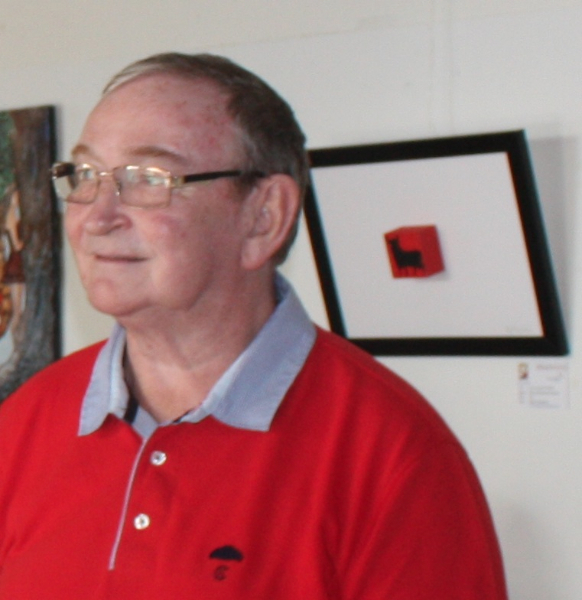 Artists living in the Mijas municipality have been invited to present an artwork, which also is for sale. The exhibition will take place in the oldest building in Sitio de Calahonda, El Campanario, Iglesia Noruega, Avda. del Cortijo 3 (behind the Aparthotel El Campanario). Opening reception; Friday June 28, at 15.00. The exhibition is open Friday-Sunday 11.00-16.00. 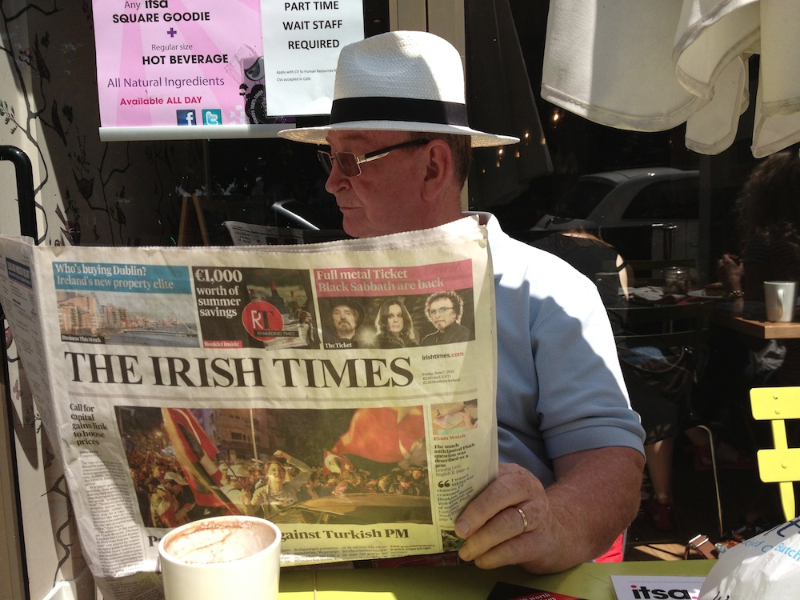 The Norwegian Church Priest and CEO at 15 h on 28.06 – Opening. Arranged by Margit and Willy Bjorklund. Sitio de Calahonda celebra 50 años de su existencia con 3 días de eventos, el 28, 29 y 30 de junio, 2013. El Campanario, hoy la Iglesia Noruega, en Avda, del Cortijo, 3. Member of the Andalusian International Artists Group – AIA-Group PAIA. Member APLAMA – La Asociación de Artistas Plásticos de Malaga. And 13 other International Artists exhibit.